If a Hollywood scriptwriter, hopefully not the one that wrote Get Rich or Die Tryin’, was going to draft up the prototypical ‘rise and fall and rise again’ hip hop story they could easily pattern it after the career of Nasir Jones. From pissy hallways in Queens to luxury suites in foreign lands to having his career on the line no less than twice, Nas has weathered the storm and adapted to his surroundings like a hip hop chameleon. His 10th studio effort, Life is Good finds the gifted storyteller surveying his life and career, like Martin Scorcese giving a running commentary on his classic films. Ultimately Life is Good is a celebration, of both the good and bad times. There’s a real sense of urgency on opening cut No Introduction as he spits “how could I not partake/15 I got a gun, 16 I robbed a train.” It’s not that Eminem-style sense of urgency, which involves cramming as many words as possible into each bar. Every word he utters is precise and measured. 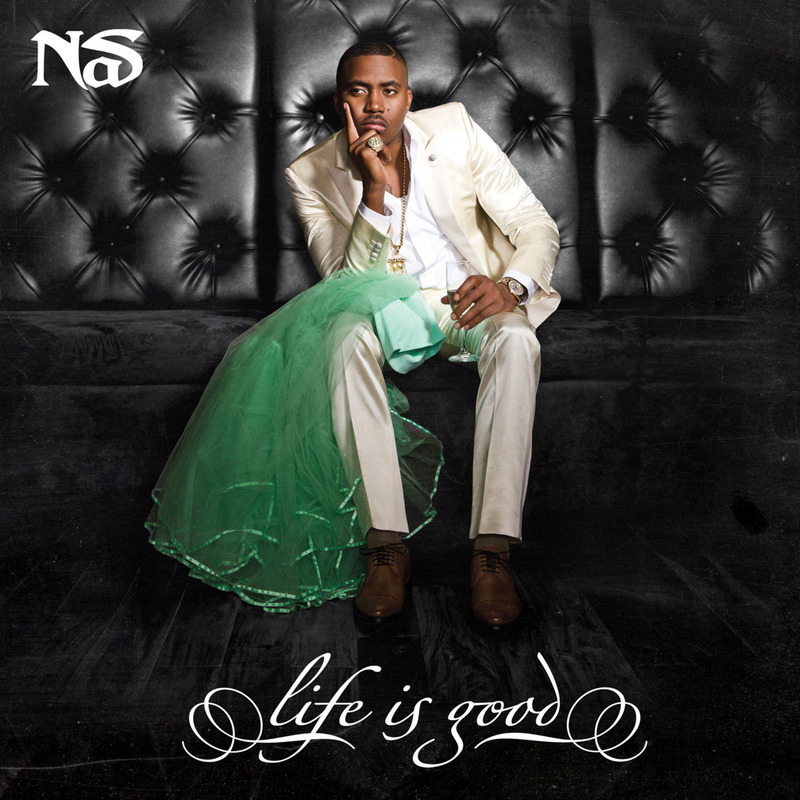 In classic Nas style he goes from confessional to masked braggadocio within the same verse, stating “I spread em, hit them and dead them/she says, third leg from a legend is sheer heaven.” Always the romantic he ends things by sending love to his previously estranged ex-wife Kelis. The subject of family pops up again on the somewhat controversial Daughters, where he discusses his own daughter’s Twitter indiscretions, placing blame on himself for not being a good father. Having his teenage daughter openly display her sexuality in a public forum was obviously not a proud moment for Nas but as a famed rapper his kids were bound to have issues. The reflection continues with old school excursions like Reach Out featuring Mary J Blige. The best moment however could be Loco-Motive, which sounds like an Illmatic-era track complete with production and a chorus from Large Professor. While keeping it mostly pure Nasir has always had mainstream inclinations, which never ever sound natural, sorry Ginuwine. This time he teams with Swizz Beatz and crooner Miguel for the pseudo heatwave anthem Summer On Smash. Ill-conceived singles aside, Life is Good ranks as Nas’ strongest effort since 2001’s Stillmatic, a lofty achievement indeed. The album serves as a testament to how important he has been and how relevant he remains to the rap game. You may also want to have a peek at these reviews: Slaughterhouse, Lupe Fiasco, Kendrick Lamar.